This is our ultimate Christmas must have! 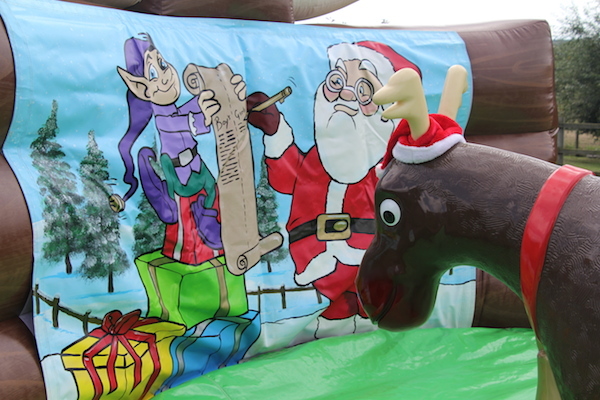 What party is complete without a visit from ‘Rudolph’ our friendly Rodeo Christmas Reindeer? 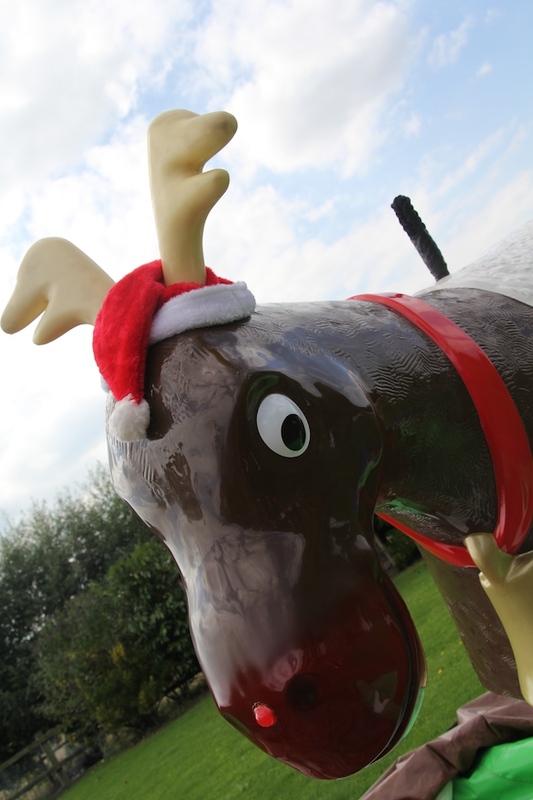 Sporting a Santa hat, antlers and Christmas bell, this Rodeo Christmas Reindeer with its shiny flashing red nose is going to give your guests a merry ole time of their lives. The festive rodeo ride bucks and spins just like a rodeo bull. 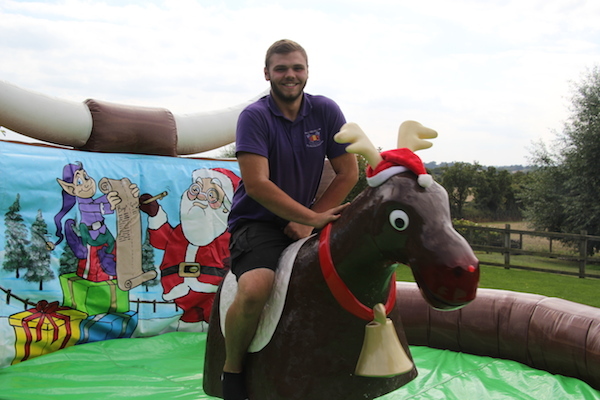 Our trained operator (in Christmas attire) will find the best rodeo reindeer rider at your event by organising a competition. We also supply appropriate prizes. 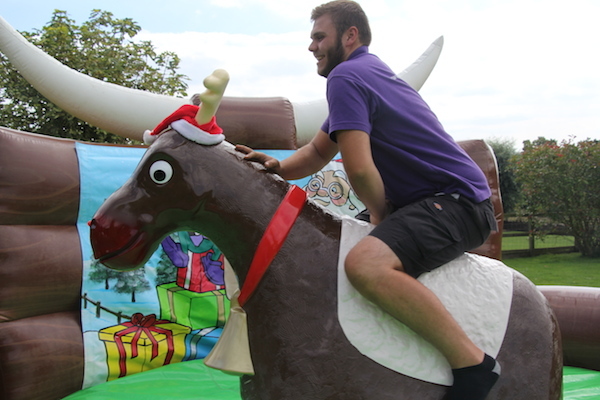 Our Rodeo Christmas Reindeer has 2 timers – 1 records the current ride time and the other one shows the best time at your event. We offer a choice of Christmas themed inflatable bed or red, white and blue bed is available. A rain shelter/marquee can also be offered if required. 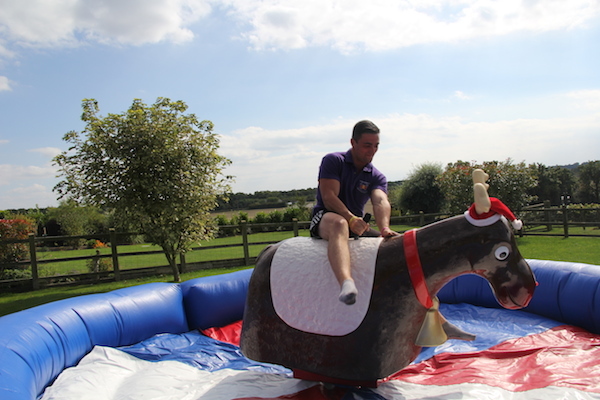 We are able to hire rodeo reindeers to all areas in the UK including Evesham, Worcestershire, Gloucestershire, Herefordshire, Warwickshire, Shropshire, West Midlands, Staffordshire, Leicestershire, Oxfordshire, Wiltshire and Somerset. 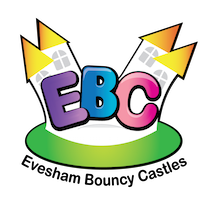 Towns in and around Worcester include Evesham, Worcester, Pershore, Malvern, Upton upon Severn, Gloucester, Cheltenham, Stratford, Broadway, Bidford, Alcester, Inkberrow, Hartlebury, Kidderminster, Stourport on Severn, Studley, Hanbury, , Tewkesbury, Bromsgrove, Droitwich, Stratford upon Avon and Bredon. 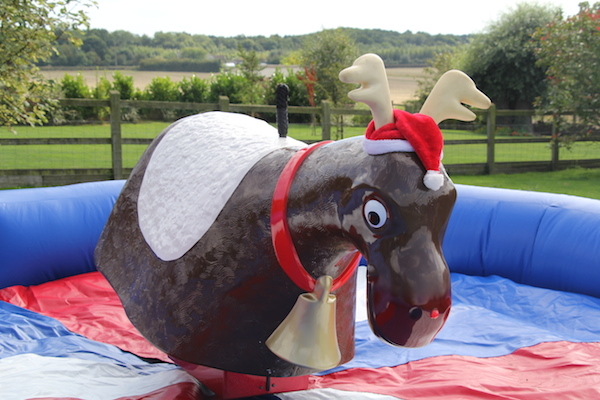 For that memorable Christmas staff party then you really should hire a Rodeo Reindeer.